Lets not read another blog post on the Trades Gap. We don’t need another blogpost with statistics and percentages about the skills gap. Or how the trades gap will affect the industry. Yeah, we know all about it. Thats why this isn’t just another blog post. Its a place for you to be inspired, and find ways you can be part of the solution. Plus there’s a video or audio for you to listen / watch on this topic. After you’re done listening/watching this interview on our discussion on the skills gap. Feel free to share your own ideas. Or, share ways you feel you have contributed to the solution in closing the skills gap. Don’t keep you’re knowledge to yourself. I sat down with Jon Paul from Superior Renovations. He and I talked about ways we can actually do something about the skills gap. He shares his views, and ideas on what we can do in keeping craft alive. And ways to help bridge the gap between business and generations. This interview is meant to inspire you on ways you can do something about the trades gap in your trade. Here are some RESOURCES we think will help you or anyone in the trades. This is our way of trying to provide you with the tools you need to help your business or employees of your business. Lets solve this problem together! Check out more of our post here. 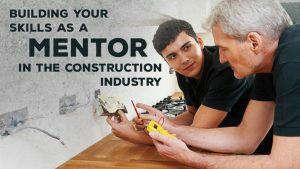 Be a part of the trades skills gap solution. Leave a comment below, and contribute to the discussion.